I bought this book on a whim when it came up on my book recommendations on Amazon this week. I love Sliding Doors-type stories so this novel sounds like exactly my kind of thing. I hope to read this very soon, it feels like it’ll be a good summer read. The Original 1982 is the wise and memorable debut novel of love, regret, music, and motherhood, by singer and songwriter Lori Carson of the Golden Palominos. In a new 1982, Lisa chooses differently. Her career takes another direction. She becomes a mother. She loves differently–yet some things remain the same. Alternating between two very different possibilities, The Original 1982 is a novel about how the choices we make affect the people we become–and about how the people we are affect the choices we make. I’ve seen great reviews of this book on some of my favourite blogs recently so I was keen to read it myself. I have a lot of review books to read at the moment but I’m going to try and squeeze this book in soon! I was very excited this week when the publicist for this book contacted me to ask if I’d like to read and review it on my blog. I couldn’t reply fast enough to say that I’d love to! The book arrived just a couple of days later and I’m so looking forward to reading this. I was beyond excited when I got offered the chance to read and review this book for the blog tour. I’ve become such a massive fan of Orenda books, I just know every book published by them is going to be incredible. I’ve been looking forward to this one ever since I first saw the cover on twitter. I know for sure that this book won’t be on my TBR for very long at all! I loved the sound of this book when I first heard about it and then last week I read the fabulous Donna at chocolatenwaffles’ review and I couldn’t resist any longer. I immediately downloaded a copy from NetGalley and can’t wait to read this! I loved Linda Green’s previous novel so have been eagerly anticipating this new one. I spotted it on NetGalley this week so immediately requested it and was thrilled to be approved. I hope to read this one soon too as it sounds so good! I was thrilled to find out that I’d won one of JaffaReadsToo blogiversary giveaways this week and my prize arrived yesterday. I won a copy of this gorgeous poetry pamphlet that was on my wishlist and then Jo surprised me with some lovely extra goodies too. The poetry pamphlet is called Ten Poems of Kindness and was compiled by Jackie Kay, I’ll definitely be reading this very soon! 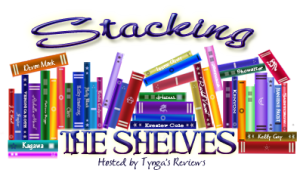 This entry was posted in Book Meme, Books, ebooks, Stacking the Shelves and tagged Amanda Craig, Barbara Copperthwaite, Books, Darren Young, ebooks, Jackie Kay, L. V. Hay, Linda Green, Lori Carson, Lucy Hay, Stacking the Shelves. Bookmark the permalink. It’s gorgeous, isn’t it? I was so happy when I opened the parcel. I think I may buy more poetry collections by the company. Wow – what a marvellous collection – that poetry collection looks beautiful… My attention is snagged by that intriguing timeslip novel you’ve got there, it looks really great. Looking forward to hearing what you make of it:). So many tempting titles! Child Taken sounds like my kind of read. Enjoy your week! Some fabulous additions this week! 🙂 Enjoy! The Original 1982 looks like a great read! Congratulations on your win! It’s always so exciting to win a book, isn’t it? I like the rest of your haul very much, too. I’ll be especially interested in what you have to say about The Lie of the Land once you’ve read it. Thank you. It is so lovely to win a book, it never fails to make my day. It’s such a gorgeous little book of poetry too. I’m planning to read The Lie of the Land this week so will be reviewing it soon. There are some great titles here. Child Taken is one that I’ve heard quite a bit about. It looks like you’ll have some great reading material for the next few days! Thank you. I’m so looking forward to reading all my new books. Child Taken does sound great – I hope to read that very soon. I also need to read The Lay of The Land. Moving it up because you said so, ha! This week, I bought Goblin, by Ever Dundas. Finding it difficult to put down. Also want to get into Megan Miranda’s new one, The Perfect Stranger. Congratulations on a nice haul this week! Great selection this week, Child Taken is one I’m interested in readin. Happy Reading. Thank you 🙂 Child Taken sounds really good, doesn’t it? Well done on reducing your TBR books this year. 🙂 I was hoping to try something like that but it’s become more about trying to balance reading my older books alongside the new ones. I am thrilled that you’ll be reading The Darkest Lies! 😀 And I can’t wait to discuss The Other Twin with you! You are absolutely right, you can’t go wrong with an Orenda Books!